Michelin added two new three-star gourmet restaurants to the 600 star restaurants in the 2016 France Hotels and Restaurants Red Guide. The number of three-star restaurants in France in 2016 remained unchanged at 10 while the two-star restaurants increased by two to 82 and the one-star restaurants decreased to 492. The new three star-restaurants in the 2016 Michelin Guide France are both in Paris: Alain Ducasse au Plaza Athénée and Le Cinq (Christian Le Squer) in the Four Seasons Hotel George V. The Michelin 2016 France Hotels and Restaurants Red Guide retails for €25 in France but is usually cheaper in the US and UK. The Michelin France 2016 Hotels and Restaurants Red Guide describes 3682 hotels and 4347 restaurants in France in all price classes from comfortable to traditional grand luxury establishments. 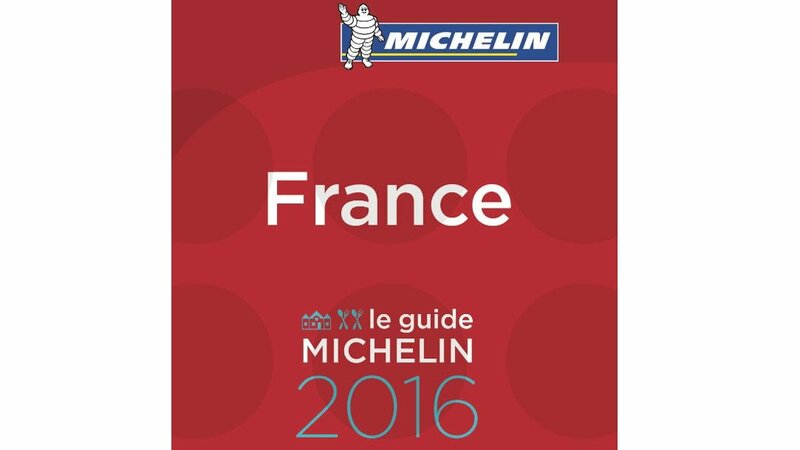 Michelin awarded 54 restaurants in the 2016 France Hotels and Restaurants Red Guide with new stars. In the latest Michelin guide to gourmet and fine dining in France, 600 restaurants were awarded stars: 26 restaurants have three stars (two new), 82 have two stars (10 new) and 492 have a single star (42 new). However, there is no “star inflation” in the Michelin Guide France 2016: as some establishments closed or were downgraded, the number of three-star restaurants in France remained unchanged from the 2015 guide, the two-star restaurants increased by only two and single-star restaurants down by 11. Two restaurants in Paris were added to the elite list of three-star establishments in the 2016 France Michelin Hotels and Restaurants Red Guide. The new three star-restaurants are Alain Ducasse au Plaza Athénée and Le Cinq (Christian Le Squer) in the Four Seasons Hotel George V.
The number of three-star restaurants in France remained at 26, as two three-star restaurants from 2015 were downgraded to two stars: Le Meurice (Alain Ducasse) in Paris and Le Relais (Bernard Loiseau) in Saulieu. Michelin awarded 82 restaurants with two stars in the Michelin 2016 France Hotels and Restaurants guide. Ten restaurants were awarded two-stars for the first time, two were downgraded from three to two, two lost both stars and six were downgraded from two in 2015 to one in 2016. JY’S, Jean-Yves SCHILLINGER’s restaurant in Colmar, Joël ROBUCHON’s La Grande Maison in Bordeaux, Jean-Georges KLEIN’s La Villa René Lalique in Wingen-sur Moder, the 1920 in Megève, where Julien GATILLON officiates, and Nicolas DECERCHI’s Paloma in Mougins. Of the new two star restaurants, half are Paris chefs who all took up posts in 2015: Christophe MORET’s l’Abeille, Jérôme BANCTEL’s Le Gabriel, Mathieu PACAUD’s Histoires, Sylvestre WAHID’s Sylvestre and Jean-François PIEGE’s Le Grand Restaurant. 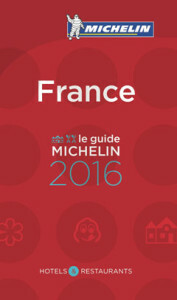 Michelin awarded 42 restaurants with its first star in the France 2016 Hotels and Restaurants Red Guide. However, the number of single-star restaurants in France fell below 500 for the first time in years: in 2016, Michelin awarded 492 restaurants with a single star compared to 503 in 2015 and 504 in 2014. The Bib Gourmand restaurants increased to 655 with 111 newly added. Bib Gourmand restaurants must serve a quality three course meal for a maximum price of €36 in Paris or €32 in the rest of France. 668 further restaurants were also singled out for serving a good menu for below €20. Paris remains a strong attraction for skilled chefs (and investors), whether luxurious restaurants or smaller bistros. Half of the new two-star restaurants were in Paris while 100 of the 380 establishments included in the Red Guide for the first time in 2016 are in Paris. The younger generation remains interested in quality gourmet food. The two youngest chefs receiving their first stars in the 2016 France red guide are Angelo Ferrigno (23) at La Maison des Cariatides in Dijon and Jean-Baptiste Lavergne-Morazzani (24) at La Table du 11 in Versailles. The inspectors also noted how French cuisine is attracting foreign chefs. Of the 7 new one star restaurants in Paris, 3 are run by Japanese chefs, all of whom trained with top French chefs: Hideki Nishi’s Neige d’Eté, Ryuji Teshima’s Pages and chef Nakatani’s eponymous restaurant. Foreign chefs are also moving into the regions – in Nice the South African chef Jan HENDRICK offers creative, modern French cuisine in his restaurant JAN, in Lyon Passe-Temps is run by the Korean chef Younghoon LEE, and G.A au Manoir de Rétival is in the hands of the German chef David GOERNE. The Michelin France 2016 Hotels and Restaurants Red Guide is on sale from 5 February 2016 in France for around €25 (Amazon (France) ). The price is usually considerably lower once available from Amazon US or Amazon UK .